Radiology has emerged as one of the most dynamic fields in medicine today. Advancements in imaging technology are pushing the specialty to greater and greater heights, allowing us to detect disease earlier, offer minimally-invasive treatment alternatives for patients, and provide an overall enhanced level of care. The atmosphere within the Department of Radiology at the University of Pittsburgh is equally dynamic. We are a collegial group of clinicians and researchers dedicated to excellent clinical care, research and teaching. We have a rich history of innovation—we have earned a place on the national stage because of pioneers who accomplished such feats as the invention of new modalities and imaging agents, development of radiology informatics solutions, and the creation of standards for radiology safety. We are one of the largest radiology departments in the world, with a depth and breadth that is unmatched. Our radiologists, most of whom are fellowship trained, are dedicated to one of our eight subspecialty divisions, which we believe provides our patients with unparalleled expertise in these given areas. Our department services the hospitals and specialty practices of the UPMC, one of the most lauded health systems in the country and a leader in transplant medicine, ENT, orthopedics, cancer care and psychiatry, as well as a myriad of other specialties. The health system’s nationally recognized programs draw a wide patient base, ensuring a high volume of interesting cases. Our radiology research program is robust—Pittsburgh is home to some of the biggest names in academic research, which has generated collaborative projects between our faculty and those in many other departments within UPMC/University of Pittsburgh and neighboring institutions, such as Carnegie Mellon University. We have made major investments in equipment and technology to ensure the vitality of our research program and have ranked in the top 10 for overall federal research funding among radiology departments—and our funding numbers continue to increase. As an academic department, teaching is of paramount importance, and we take very seriously the responsibility of instructing the medical students, residents and fellows who will be the architects of our specialty in the future. Our department is also home to preeminent educators in the field, and residents, fellows and others travel to Pittsburgh from all over the country to attend our yearly courses. We are proud of our past accomplishments, and of the nationally and internationally recognized programs that we have established, but this only pushes us to aim higher. The foundation has been built, and now the sky is the limit. We welcome your interest in our department. Rooted in a Dynamic City and Health System, The Department of Radiology at the University of Pittsburgh was established in 1956, when Dr. Elliott C. Lasser was appointed the first full-time academic radiology chairman. At the time, Dr. Lasser was working with a team of three additional radiologists who covered what was then a 650-bed complex of hospitals in the Oakland section of Pittsburgh. The department trained three residents. From these humble beginnings, one of the nation’s largest, most diverse and most innovative radiology departments was born. The birth of the department coincided with the rebirth of its home city, and the arrival of the University of Pittsburgh on the national stage. In the 1950s and early 60s, Pittsburgh underwent tremendous change, remaking itself into a city with clean air, clean water, beautiful, architecturally mindful buildings and large public parks. Also during this time, the University of Pittsburgh evolved from a small local college into one of the nation’s great institutions of higher learning—and the city’s main employer. The construction of a new building for the School of Medicine, Scaife Hall, was completed in 1955, and along with the cluster of nearby hospitals it became known as the University of Pittsburgh Medical Center (UPMC). 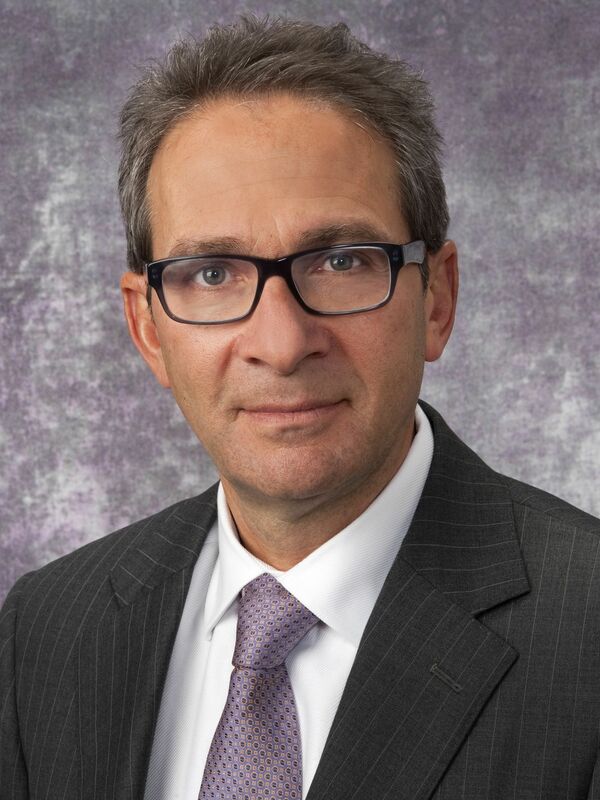 Today, UPMC is a more-than-$6 billion organization with more than 4,000 licensed beds, and is one of the most renowned academic medical centers in the world. By the 1970s, the Department of Radiology had grown from a handful of physicians to nearly 50. Today, the department has nearly 200 clinical and research faculty at more than 30 locations. Instead of three residents per year, the department is now home to one of the nation’s largest and most competitive residency programs, consisting of 60 residents. More than 10 fellows are trained each year in various subspecialty areas. The radiology research program, which was begun in the 1950s and 60s, has ranked as high as eighth in NIH funding. The growth of the department and the accolades it has garnered during the last five decades is due to a pioneering spirit and an unwavering commitment to furthering radiology research and patient care. Department physicians have stayed on technology’s cutting edge and have been quick to adapt the best and latest imaging techniques. Radiology has emerged as one of the most exciting and rapidly evolving fields in medicine today, and the University of Pittsburgh Department of Radiology is well-positioned with the intellectual capital and resources necessary to become a model for the future.